Our dev team is currently focused on e-commerce development, the vast majority of our ecommerce solutions is based on Magento platform. We prefer Magento because it's a really powerful ecommerce platform and it allows to implement any idea related to online-shopping (grouped products, special discounts, gifts, vouchers, special reporting and gathering statistics, discounts etc). Payment processing is one of key features of successful online store. We deliver e-commerce projects for different markets, and we have noticed that there are a lot of options for payment integration for US and European countries, so it's not a problem to find ready-made solution for payment gateway integration, like PayPal, Authorize.Net, Stripe and dozens less popular platforms. Magento has an excellent wide set of extensions that can be downloaded for free or bought on Magento Connect. It's one of reasons why Magento is so popular. It's easy to get working online store with minimal custom development. We can easily find almost all functionality by ready-made extensions. There is no so many choices for our local market. We developed Magento stores for our local market and we found out that the range of extensions available for payment integration and shipping services was not that much extensive, at the moment it is very limited. After review and research of possible solutions that we can suggest to our client we have selected LiqPay payment gateway as payment option for our online shop. It's popular solution for processing cards payment in Ukraine, Russia and Eastern Europe. We have even found extension for Magento 1, but our project was on new Magento 2 platform. 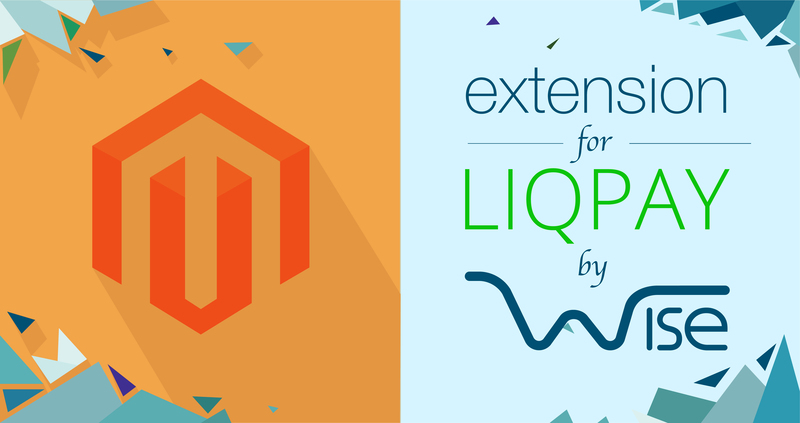 We decided to port functionality of extension for Magento 1 and create own version for Magento 2. Source code of extension is available on GitHub. We will be glad to receive feedback about our extension and requests for new features for this extension.